Most Western charities are a scam. AFRICANGLOBE – While Canadian companies exploit African resources for their own benefit, this country’s charities call on us to join Africa “hope” walks. Last week Toronto-based Lundin Mining hired the Bank of Montreal to help it decide what to do with its stake in the massive Tenke Fungurume copper-cobalt mine in Eastern Congo (Kinshasa). Unfortunately, it is not uncommon for Toronto firms to make economic decisions that affect hundreds of thousands of Africans and for Canadian companies to exchange African mineral assets among themselves. A number of companies based and traded here have even taken African names. African Queen Mines, Tanzanian Royalty Exploration, Lake Victoria Mining Company, African Aura Resources, Katanga Mining, Société d’Exploitation Minière d’Afrique de l’Ouest (SEMAFO), Uganda Gold Mining, East Africa Metals, Timbuktu Gold, Sahelian Goldfields, African Gold Group and International African Mining Gold (IAMGOLD) are all Canadian. With a mere 0.5 percent of the world’s population, Canada is home to half of all internationally listed mining companies operating in Africa. Active in 43 different African countries, Canadian mining firms have been responsible for dispossessing farmers, displacing communities, employing forced labour, devastating ecosystems and spurring human rights violations. And, as I detail in Canada in Africa: 300 Years of Aid and Exploitation, numerous Canadian mining companies have been accused of bribing officials and evading taxes. Last year TSX-listed MagIndustries was accused of paying $100,000 to tax officials in a bid to avoid paying taxes on its $1.5-billion potash mine and processing facility in Congo (Brazzaville). In April a Tanzanian tribunal ruled that Barrick Gold organized a “sophisticated scheme of tax evasion” in the East African country. As its Tanzanian operations delivered over US$400-million profit to shareholders between 2010 and 2013, the Toronto company failed to pay any corporate taxes, bilking the country out of $41.25 million. While Canadian companies loot (legally and illegally) African resources, government-funded “charities” (aka NGOs) and the dominant media call on Canadians to walk for “hope” in Africa. 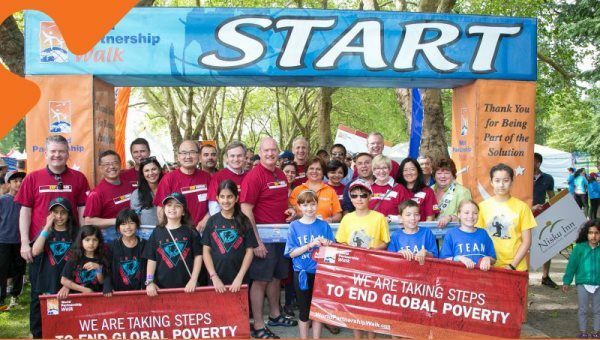 Last weekend the Aga Khan Foundation Canada organized the World Partnership Walk in 10 cities across the country. In an article titled How the World Partnership Walk lets Canadians bring hope to African communities the organization’s International Development Champion, Attiya Hirj, writes about visiting Aga Khan Foundation and Global Affairs Canada sponsored projects in Tanzania and Mozambique. Hirj says her “trip really opened my eyes to what rural communities truly need, which is a sense of hope.” She suggests the situation can be remedied if enough Canadians come “together to fundraise and generate awareness through activities such as the World Partnership Walk.” There is no mention of the need for African resources to be controlled by and for Africans. Hirj’s article reflects an extreme example of Canadian paternalism towards Africans. But it’s deeply rooted in our political culture. Gripped by a desire to rid “darkest Africa” of “nakedness” and “heathenism”, Canadian missionaries helped the European colonial powers penetrate African society. In 1893 a couple of Torontonians founded what later became the largest interdenominational Protestant mission on the continent and by the end of the colonial period as many as 2,500 Canadians were proselytizing across Africa. Today, all the media-anointed Africa “experts” promote a similarly paternalistic version of ‘aid’ and largely ignore Canadian companies’ role in pillaging the continent’s wealth. But, Canadians concerned about African impoverishment should point their fingers at the Canadian firms controlling the continent’s resources and offer solidarity to those sisters and brothers fighting for African resources to be controlled by and for Africans.